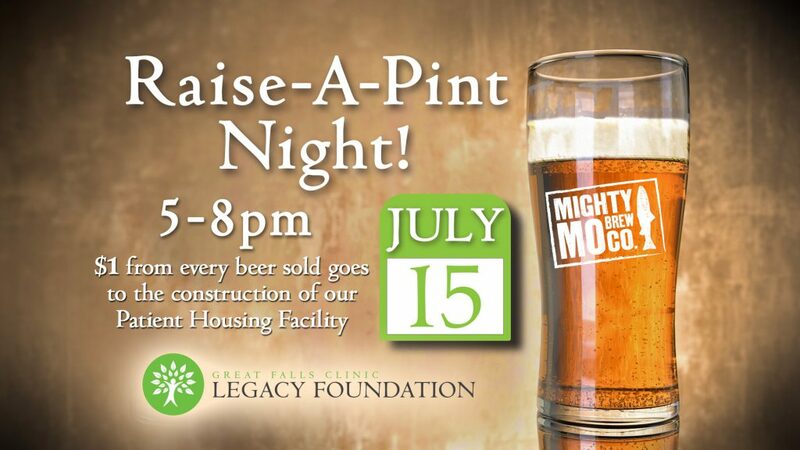 Come join us for a lot of fun on Monday, July 15 from 5-8 pm at the Mighty Mo downtown for our Raise-A-Pint Night! $1 from every beer sold will benefit the Legacy Foundation’s Building Hope Campaign for future patient housing! For questions, please call Samantha at 406-771-3107.